SACRAMENTO, California, August 28, 2014 (ENS) – The California Legislature Thursday approved the Charge Ahead California Initiative to put one million electric vehicles on the road within 10 years and sent the measure to Governor Jerry Brown for his signature. 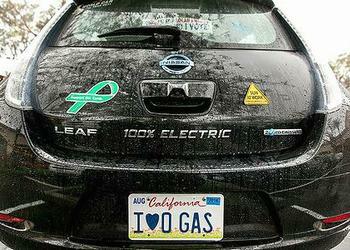 A long-standing supporter of electric vehicles, Governor Brown is expected to sign the bill into law. Authored by California Senate President pro Tem-elect Kevin de León, a Los Angeles Democrat, the measure calls for a ten-fold increase in the current number of electric vehicles on state roads by 2023. De León developed the legislation with the Charge Ahead California steering committee, a coalition of community organizations and conservation groups working to expand clean transportation, promote job growth, and achieve air quality and climate goals. More than 50 California groups and businesses have indicated their support for the bill, Charge Ahead California (SB 1275). The measure will extend and improve the state’s existing Clean Vehicle Rebate Project that provides buyers with a $2,500 rebate for zero-emission purchases. The measure establishes an income cap for rebates and will step down rebate levels over time as technology costs decrease. The bill increases access to clean transportation in disadvantaged communities. It establishes car-sharing programs, deploys charging stations in apartment complexes, provides access to financing options that would lower combined monthly car payments and fuel costs, and offers incentives for the replacement of gas-guzzling “clunkers” with new or used electric cars or vouchers for transit and car-sharing. Advocates for low-income people and communities of color in California applauded the measure. “This bill will make electric cars and car-sharing opportunities affordable to working families,” said Vien Truong, environmental equity director for The Greenlining Institute, a nonprofit environmental justice group based in Berkeley, California. Transportation is the single largest source of greenhouse gas emissions in California, accounting for 38 percent of emissions. Four in 10 Californians, more than in any other state, live so close to a freeway or busy road that they are at increased risk of asthma, cancer and other diseases caused by breathing polluted air. As a result, nearly twice as many Californians die from the health impacts of vehicular pollution as from motor vehicle accidents, points out the Charge Ahead Coalition. In June, the Los Angeles City Council voted to endorse SB 1275, the Charge Ahead California Initiative. WASHINGTON, DC, August 28, 2014 (ENS) – ExxonMobil Pipeline Company has agreed to pay a $1.4 million fine for a violation of the Clean Water Act stemming from a 2012 crude oil spill from the company’s North Line pipeline near Torbert, Louisiana. On April 28, 2012, ExxonMobil’s 20/22-inch-diamater pipeline ruptured near Torbert, about 20 miles west of Baton Rouge, and crude oil spilled into the surrounding area and flowed into an unnamed tributary connected to Bayou Cholpe. The United States’ complaint, filed today in the U.S. District Court for the Middle District of Louisiana, alleges that ExxonMobil discharged at least 2,800 barrels (117,000 gallons) of crude oil in violation of the Clean Water Act. The $1.4 million penalty is in addition to the costs incurred by ExxonMobil to respond to the oil spill and to replace the segment of ruptured pipeline. ExxonMobil is completing cleanup actions pursuant to an administrative order issued by the Louisiana Department of Environmental Quality. The company also continues to do follow-up work and to operate under a Corrective Action Order issued by the United States Department of Transportation, Pipeline and Hazardous Materials Safety Administration. The penalty paid for this spill will be deposited in the federal Oil Spill Liability Trust Fund managed by the National Pollution Fund Center. The Oil Spill Liability Trust Fund is used to pay for federal response activities and to compensate for damages when there is a discharge or substantial threat of discharge of oil or hazardous substances to waters of the United States or adjoining shorelines. WASHINGTON, DC, August 28, 2014 (ENS) – The Federal Railroad Administration today funded two grants totaling $350,000 to support development of a Short Line Safety Institute. “These grants are just the latest step in our comprehensive approach to improving the safe transport of crude oil and other hazmat by rail,” said U.S. Transportation Secretary Anthony Foxx. The Institute will help counter risk associated with shipping hazardous materials by rail by working to improve the culture of safety within the short line and regional rail industry. Short lines and regional railroads account for 31 percent of U.S. freight rail mileage and 10 percent of industry employees. There are more than 550 short line and regional railroads operate in every state except Hawaii. They feed traffic to Class I railroads and receive traffic from Class I railroads for final delivery, picking up or delivering one out of every four rail cars moving on the national rail network. “Nearly half of all short line and regional railroads handle some type of hazardous materials, and today’s grants will play an important role in ensuring those materials and all shipments reach their destination safely,” said Foxx. The Institute will conduct safety compliance assessments to measure compliance with federal safety standards and safety culture assessments to evaluate the steps each railroad is taking to promote safe practices internally. Assessors from the Institute will visit member railroads, evaluate safety compliance and safety culture and document their findings in written reports. The Institute will provide education, training and employee development following the assessments, as small short line railroads lack the resources to conduct the same kind of safety training and enforcement on their own that Class I carriers must perform. Today’s announcement includes a $250,000 grant to the American Short Line and Regional Railroad Association, ASLRRA, to begin the pilot phase of safety culture assessments. Pilot testing will begin in January 2015 and will initially focus on the safety of crude oil transportation by rail. With the grant money, ASLRRA will use tools developed by the University of Connecticut to identify areas of non-compliance and help railroads develop a culture of commitment to railroad safety. ASLRRA will develop libraries of training tools, technical materials, effective safety training processes, programs and resources to help small railroads to instill a culture of safety. The University of Connecticut received a $100,000 grant to develop, test and validate safety education and training for managers and employees. EMERYVILLE, California, August 28, 2014 (ENS) – Buddhist nuns, ministers, tribal leaders, students and activists, more than 170 people in all, will take a cross-country trip next month to what organizers say will be the largest demonstration in the history of the climate movement. The first-ever People’s Climate Train, organized by the Center for Biological Diversity, will host workshops, discussions, activist trainings while rolling across the country. Most of the riders will board the Amtrak in Emeryville on September 15 and arrive in New York City on September 18 in time for the People’s Climate March. The train will stop and pick up more climate riders in Reno, Denver, Salt Lake City, Omaha and Chicago, and travel through landscapes threatened by drought, extreme weather, fossil fuel development, pollution and the Keystone XL pipeline. Riders on the People’s Climate Train will join the thousands who are planning to gather in New York City for the People’s Climate March on September 21 two days before the United Nations Climate Summit convened by UN Secretary-General Ban Ki-moon. Sponsors of the train include Global Exchange, Buddhist Global Relief, 350.org, Sierra Club, Avaaz, Idle No More Bay Area, Citizen’s Climate Lobby, Breakthrough Communities, Urban Tilth, and other grassroots groups. “I am part of a group of young activists striving to create large impacts in social justice movements, and this is a fantastic place to make more connections, get advice, get training, and continue networking for activism far into the future,” said Aaron Kratzer, a student at Oregon State University. MISSOULA, Montana, August 28, 2014 (ENS) – A coalition of 13 conservation organizations has formally notified the U.S. Fish and Wildlife Service that they will sue to challenge the agency’s decision to withdraw a proposal protecting the imperiled wolverine from climate change. Hardy, solitary members of the weasel family, wolverines traverse huge, high-elevation territories through boreal forest and over snowy mountain ranges. After reviewing wolverine population data, the Service’s scientists and an independent panel unanimously identified climate change impacts on the species’ habitat as the primary threat to its survival. To den and rear their young, wolverines rely on a deep, high-elevation snow pack long into the spring and summer. Most scientists agree climate change will increasingly affect snowfall patterns throughout wolverine range over the next 75 years, reducing available habitat by up to 63 percent. Service Director Dan Ashe’s decision to withdraw the proposed listing not only goes against the recommendations of his own agency’s scientists, but also the law, Supreme Court precedent, and President Barack Obama’s Executive Order 13563, which directs federal agencies to reprioritize science-based decision-making, the groups maintain. The 13 groups are represented by the Western Environmental Law Center, which points out that the Endangered Species Act requires species listing decisions to be based solely on the best available science. The U.S. Supreme Court has held that in making listing decisions, species should be afforded the benefit of the doubt. “The withdrawal of the proposed wolverine listing flouts these edicts by prioritizing natural resource extraction and industry profits over the wellbeing of a rare native carnivore,” the groups said in a statement today. In February 2013, the Service acknowledged climate change is “threatening the species with extinction.” According to scientists, snowpack in wolverine habitat will decrease; the only uncertainty is precisely how much snow will disappear and exactly where snowfall will decline most. In July, a leaked memo from Service Region Six Director Noreen Walsh to biologists in the agency’s Montana field office relied on that sole area of uncertainty to call for the proposed listing’s withdrawal. The Service also downplayed or ignored the effects on wolverine survival of motorized winter recreation, trapping, and habitat fragmentation caused by roads, timber extraction, and development. The 13 plaintiff groups are: Alliance for the Wild Rockies, Cascadia Wildlands, the Cottonwood Environmental Law Center, Footloose Montana, Friends of the Bitterroot, Friends of the Wild Swan, George Wuerthner, Helena Hunters and Anglers Association, Kootenai Environmental Alliance, Native Ecosystem Council, Oregon Wild, the Swan View Coalition, and WildEarth Guardians. TRENTON, New Jersey, August 28, 2014 (ENS) – New Jersey and federal officials have launched an $8 million pilot project to evaluate a new process that uses clean dredge materials to restore salt marshes. The project aims to make coastal communities more resilient against future storms, such as Superstorm Sandy, which devastated the Atlantic coast in late October 2012. The Christie Administration, the U.S. Army Corps of Engineers and environmental and academic partners will study the costs and benefits of using the thin layer placement approach to create a needed option for disposal of materials dredged from waterways to keep them navigable. For decades, materials dredged from the back bays and channels have been placed in confined disposal facilities, creating unnatural island-like plateaus in coastal marshes. With the thin layer placement approach used for this pilot project, several inches of clean sand are pumped onto the marsh, providing a foundation for marsh grasses to take hold. These grasses help to absorb flood waters and storm surge. Higher sand bars are also constructed to provide nesting habitat for birds, including the state-endangered black skimmer. The first phase of the project got under way last week on wetlands in the Cape May Wildlife Management Area using sand dredged from nearby Hereford Inlet. Next year 45 acres in Avalon and near the Delaware Bay town of Fortescue will be restored. The project is funded in part by $3.4 million from the U.S. Department of Interior Hurricane Sandy Coastal Resilience Competitive Grant Program. The Department of the Interior is providing $103 million to help states impacted by Superstorm Sandy to develop strategies to bolster themselves against future storms. In addition, the Army Corps is providing 2.9 million and nearly $2 million is coming from the New Jersey Department of Transportation. The DEP, The Nature Conservancy, Green Trust Alliance, and Rutgers University will provide monitoring and analysis of both ecological and economic benefits of the process. All of the restoration projects will take place on Wildlife Management Areas managed by the DEP. The site behind Stone Harbor is Environmental groups will play a key role in monitoring the effectiveness of this process. WASHINGTON, DC, August 28, 2014 (ENS) – NOAA Fisheries announced Wednesday it will extend Endangered Species Act protections to 20 coral species. All 20 species will be listed as threatened, none as endangered. Fifteen of the newly listed species occur in the Indo-Pacific and five in the Caribbean. This is the single largest protective decision ever afforded to corals under the Endangered Species Act. “Coral reefs are one of the most biologically diverse ecosystems on earth, providing habitat for many marine species. Protecting and conserving these biologically rich ecosystems is essential, and the Endangered Species Act gives us the tools to conserve and recover those corals most in need of protection,” said Eileen Sobeck, assistant administrator for NOAA Fisheries. “The final decision is a result of the most extensive rulemaking ever undertaken by NOAA. The amount of scientific information sought, obtained and analyzed was unprecedented,” Sobeck said. 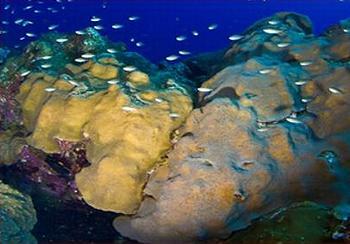 The new protection offered these corals is a big change from the proposed rule in November 2012. Since then, NOAA said, many new scientific papers on climate change and coral habitat, distribution and abundance were published so the agency was able to consider and incorporate new information into the final decision. The new information improved the agency’s understanding of coral habitat diversity, abundance, distribution and species-specific exposure to threats and their relative vulnerability or resilience. NOAA also considered extensive public comments as part of the final rulemaking. “We want to thank our stakeholders and partners for their strong participation at each step of this process, and we look forward to working with the states, territories, commonwealths, local governments and all our stakeholders and partners to conserve these coral species and ensure they remain for future generations to enjoy,” said Sobeck. NOAA says the tools available under the Endangered Species Act are flexible enough that they can be used for partnerships with coastal jurisdictions, in a way that will allow activity to move forward without jeopardizing listed coral. Currently no prohibitions exist relating to the newly listed coral species. Coral reefs are critical to the health of marine ecosystems, and they face severe threats, the agency said. Coral reefs world-wide have declined significantly—some individual species have declined by at least 90 percent. Healthy coral reefs provide shoreline protection for coastal communities and habitat for a variety of species, including commercially important fish. These benefits are lost when corals are degraded. The NOAA Fisheries decision responds to a 2009 scientific petition by the Center for Biological Diversity seeking the Endangered Species Act’s protection for 83 corals in U.S. waters. Of the corals receiving protection, five occur in Florida and the Caribbean, and 15 live in the Pacific. “This decision is a big step forward for corals,” said Miyoko Sakashita, the Center’s oceans director.